Some leaked pictures have appeared for the Rogue Trader rulebook cover. This helps expand upon the Rogue Trader teaser video that Games Workshop released back in May. 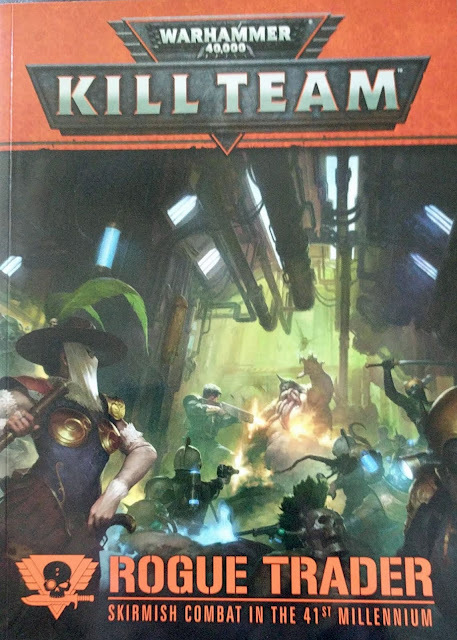 Kill Team was originally designed as an asymmetrical game where one player took on the role of the Kill Team and the other controlled a much larger group of weaker enemies. The Kill Team player would move and achieve an objective while attempting to not alert a sentry or trigger an alarm. Later, Games Workshop used Kill Team for the "skirmish" rules for 40K. Without specifics, it's difficult to know what this version will be closer to. It may be entirely different from all prior uses of the Kill Team name. 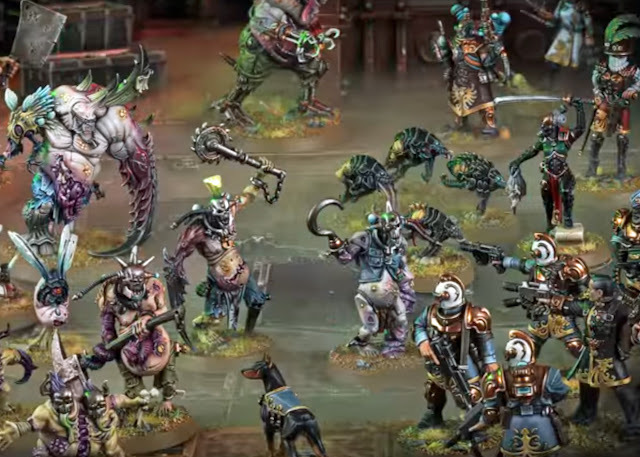 However, the upcoming Rogue Trader box set will likely contain the Nurgle and Rogue Trader models from the May video. 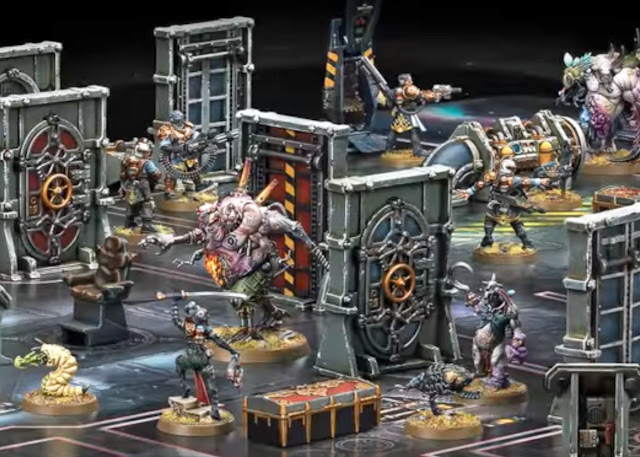 Along with that, perhaps the Kill Team: Rogue Trader supplement. Games Workshop Announces "Kill Team"